That was the confession of Peter Brown after unearthing his first sapphire while out fossicking on the Sapphire Gemfields. The year was 1974 and the then 21 year old had arrived in an old VW Beetle and set up camp along the creek banks west of Rubyvale. Fast-forward 40 years and we find the same enthusiastic sapphire miner, now regarded throughout the industry as an expert in these exquisite gemstones. Peter and Eileen, together with their sons and partners and long time employee Mary, welcome you to become part of our Sapphire Story. 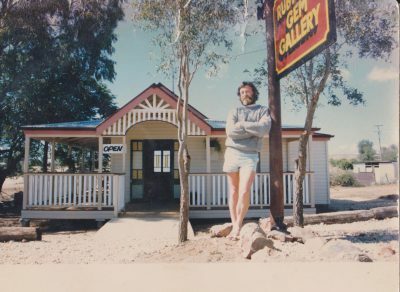 Peter started out digging from the surface along Policeman's Ck and Russian Gully, while living in a tent and eating home grown veggies and roo meat. "The digging was hard work in those days, we even put down our own shafts, no drilling rigs around like we have here now. 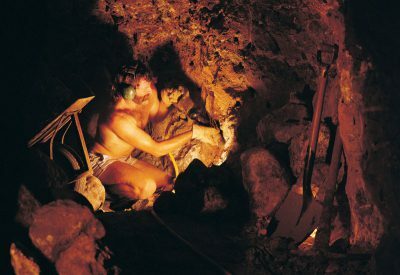 But the prices were high so if we worked hard we could get good money for the sapphires we dug up." 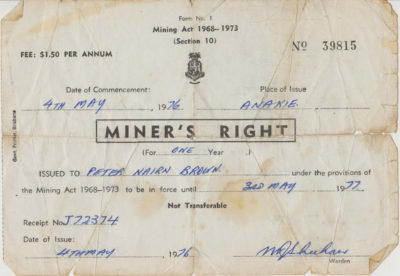 A 'Miner's Right' costing $5 entitled a person to peg a mining claim and to camp anywhere on the sapphire fields. 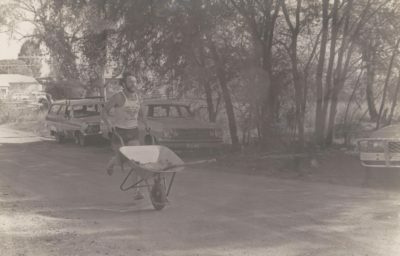 Peter wins inaugural Gemfields Ironman Wheelbarrow Race. The movie "Buddies" is made in Rubyvale and both Peter and Eileen are hired as extras along with many of the locals. The Browns buy an old miner’s cottage in the centre of Rubyvale and start renovating. 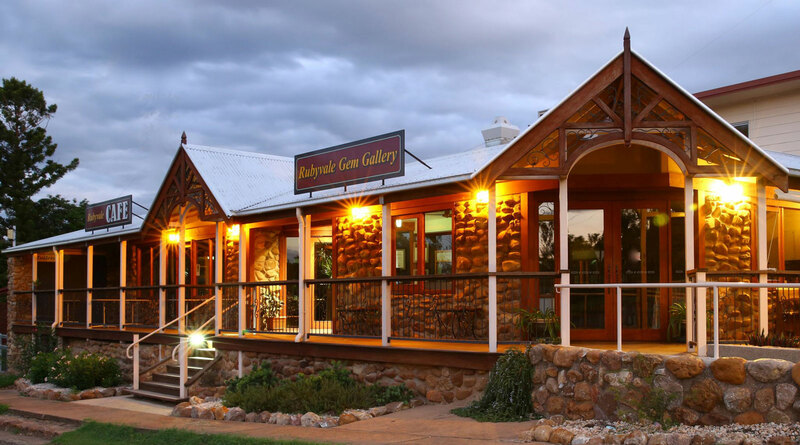 Rubyvale Gem Gallery opens for business 9th August, same week as the 1st Gemfest held in Anakie. Peter begins writing a column for the local newspaper called "Nose to the Grindstone" all about how to cut sapphires. 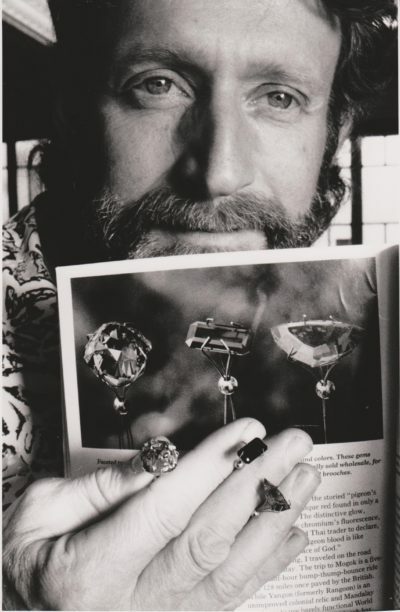 National Geographic Magazine publishes photo of special sapphires cut by Peter. 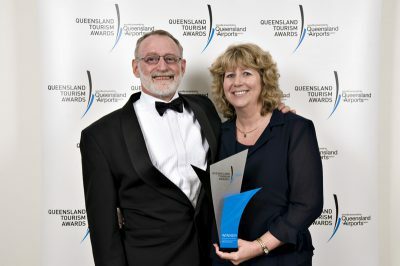 Rubyvale Gem Gallery wins first of the many Tourism Awards to come. 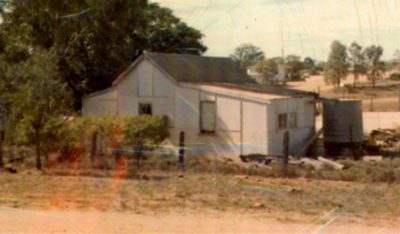 The Brown’s buy the old Capricornia Crafts building on Main St. and begin the "re-build". 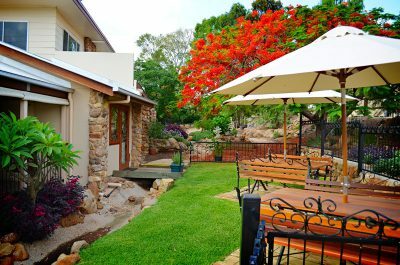 Rubyvale Gem Gallery is named by RACQ as one of the 150 Must-Do’s in Queensland Campaign. In July Rubyvale Gem Gallery moves into the new premises and the Rubyvale Café begins trading next door.